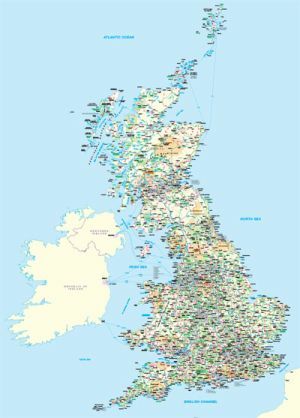 Whether for work or leisure, our bespoke mapping service can provide you with exactly the map you need. With mapping data ranging from street to national level, we can produce a map showing exactly the area you need. You can further customise your map with radii, administrative and constituency boundaries, highlighted locations, and logos. From A4 extracts for reports to giant 2 metre wall maps, The Map Centre's bespoke mapping service has you covered. With access to the full range of Ordnance Survey mapping data from 1:200 scale to 1:1,000,000, we can provide virtually any detail level you need. 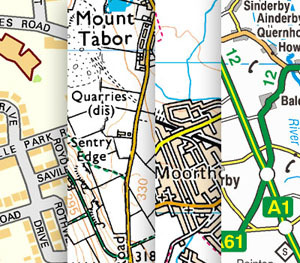 Or if you need a map covering a specific area at a specific size, we can let you know what detail level fits best. 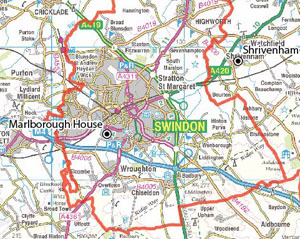 Our cutting-edge mapping software can add virtually any ancillary information to your map, from OS-derived administrative boundaries (parish, ward, district, county, constituency and more) to distance radii and logos, we make sure your map gives you all the vital information you need. Because each bespoke map is unique, we provide them on a quotation basis. Click the button below to contact us about your customised map, and we'll get back to you ASAP with a quote. Let us know what area you want to cover, the kind of detail you would like, and any extra information you'd like on the map, and we'll do the rest.